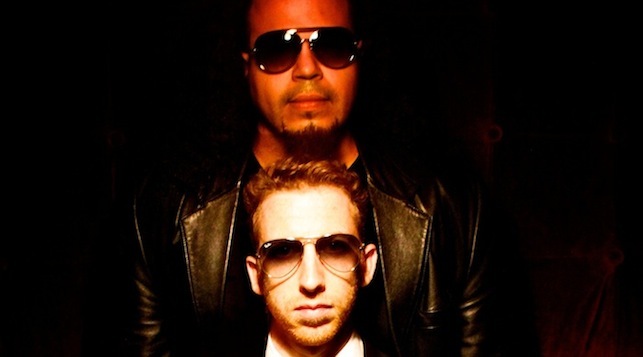 Maniacalm is a New York-based dance music duo comprised of DJ and producer Damian Major and songwriter IzReal Medina. The word Maniacalm, a combination of the words maniacal and calm, is a perfect name for the collaboration of these seemingly opposite artists. Damian sets the trends on the decks of New York City’s posh nightclubs and IzReal is a street certified hip-hop artist and songwriter from Brooklyn. While they are unstoppable together, they have both had their share of individual successes. IzReal gained Top Ten Billboard status with his hip-hop group Tomorrowz Weaponz and Damian toured the globe while placing his music on major networks including Warner's CW and ABC. However, there is no doubt that Maniacalm is their most powerful project to date. In an era where genre lines are blurred, this team has the perfect combination for knock out success. Maniacalm's first single “Never Forget You” featuring LALA is in constant rotation on Sirius's BPM and Party 105 in Long Island. The group's 2010 freshman song was an impressive debut; finishing the year at number seven on Sirus Radio’s BPM's Top 50 of 2010 and number eight on AOL's top 10 Dance songs of 2010. It also peaked at number 5 on Hot Dance Airplay for Billboard Magazine. Maniacalm’s follow up, “I Miss You,” on Next Plateau is destined to be another instant dance floor classic. "The name Maniacalm comes from the dynamic that we often find ourselves in when writing music. One of us will be acting maniacal about the littlest detail and the other will be all calm saying, "it's fine, let's move on" says IzReal. Major chimes in "Our backgrounds are very different, our music, even our looks, but when we put two opposites together, sometimes they work out in perfect harmony."